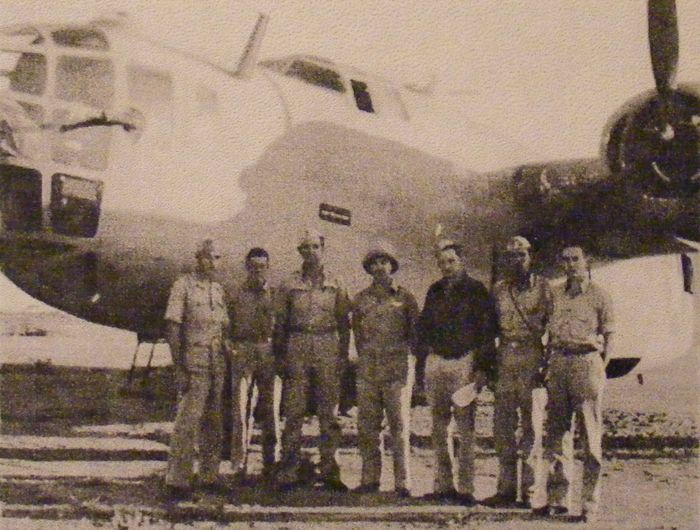 The crew who led the attack on the LInsi mines and power station. From L to R: Maj. Max R. Fennell, Sgt. Patrick (Tail gunner), Lt. William Stewart (co-pilot), Lt. Lewellyn Daigle (navigator), Sgt. Taulbee (bombardier), Sgt. McJunkins (radio), and Sgt. Mayhew (gunner). Sgt. Rose ( engineer ) is not in picture.